You can now register the same Dynamed serial number on up to 5 devices of the same operating system. For example, if you have registered DynaMed on your iPhone, you can install it to your iPad using the same serial number. When you install Skyscape/DynaMed on the iPad, all of the resources that were registered to your iPhone are automatically installed. This behavior will also apply to the Android and BlackBerry platforms. Serial numbers have a shelf life of one year, regardless of how many devices on which it is registered. Contact the library for a new serial number if Dynamed has stopped working for you. Dynamed provides clinically-organized summaries with references for nearly 3,200 diseases and condition topics and over 800 drugs. It is available free to faculty, staff and students of LSUHSC. ÔÇó	Go to Wireless & networks/Wi-Fi settings to manage any available networks and choose ÔÇ£LSUHSC-SecureÔÇØ from the list. ÔÇó	The authentication for the network is 802.1x, the EAP method is PEAP, and the Phase 2 authentication is MSCHAPV2. 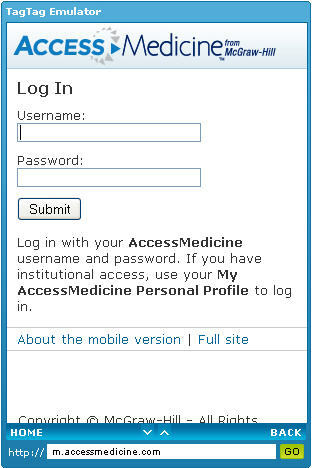 ÔÇó	From there youÔÇÖll be able to enter your LSUHSC user i.d. and password (sometimes the i.d. needs to be prefixed with lsumc-master\userid). After this information is entered, youÔÇÖll be authenticated to the network and it should show you are connected to the LSUHSC wifi. Micromedex Drug Information is now available for Android phones. We’ve previously mentioned the Drug Information app for Blackberry and iPhone way back in January 2010, it’s nice to see this drug information app for that *other* mobile operating system. A new list of the Best Android apps for Doctors, Nurses and Health Care Professionals indicates that flashcards, games and glossaries are popular in the android app field. Don’t forget, you can use Skyscape to access Dynamed & Natural Standard with a serial number from the library. Mobile Resources from the library. Skyscape is pleased to provide hundreds of trusted medical resources for the Android (Google) devices. This includes G2, G3, G4, MyTouch, DROID, and other smartphones which use the Android (Google) operating system. 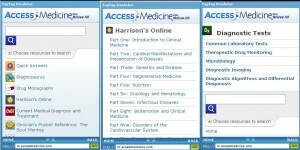 We are offering you three valuable free resources – RxDrugs, Outlines in Clinical Medicine (OCM), and the Archimedes set of medical calculators with the Android Reader. The MedAlert service is also part of this installation, and you can easily add free MedStream channels (such as MedWatch and CDC Spotlights). Your free products can be downloaded with Skyscape’s Android Reader by visiting www.skyscape.com/reader using your phone’s browser.